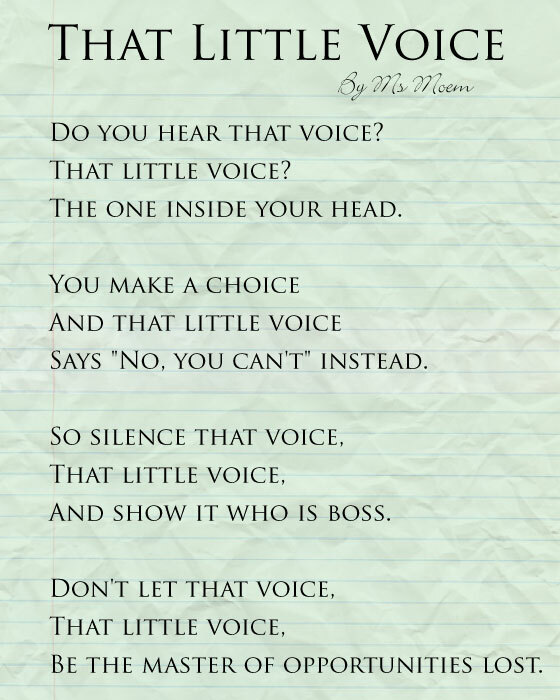 That Little Voice | Ms Moem | Poems. Life. Etc. Do you hear that voice? The one inside your head. Says “No, you can’t” instead. And show it who is boss. Be the master of opportunities lost. 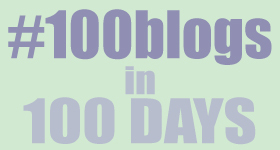 This is post 41 of 100 blogs in 100 days. Pingback: Motivational Poem Video | Ms Moem | Poems. Life. Etc.